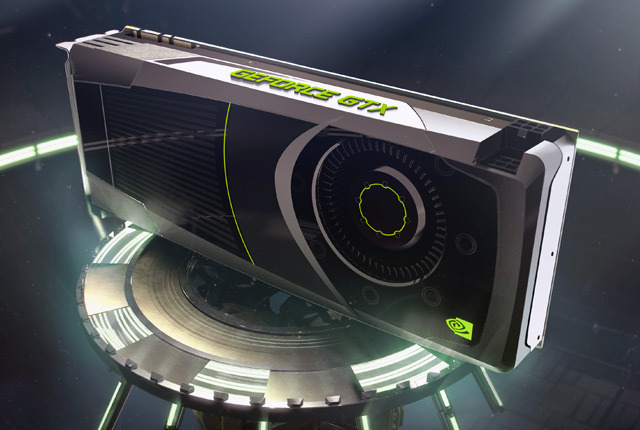 NVIDIA is said to launch two more Kepler GK104 products in the upcoming months – The GeForce GTX 670Ti and GeForce GTX 670. The details were gathered by Andrew Gibson AKA “Gibbo” (OCUK Procurement Manager) who had access to some of the latest NVIDIA roadmaps, He has further detailed that the Mid-Range GTX 560Ti Replacement Aka GTX 660 would not be launched until much later in 2012. The GeForce GTX 670Ti and GTX 670 would be Gk104 based products replacing the GeForce GTX 580/570 at a price range of £320/£240 respectively. Performance of these parts would be lesser than the flagship GeForce GTX 680 due to lower clockspeed/cores, In return they would again provide a competitive Performance and Price per watt. Both GPU’s would feature 2GB GDDR5 Memory running across a 256-bit wide memory interface, GPU manufacturers could later aim for 4GB models, Galaxy/EVGA are already working on 4Gb variants of GeForce GTx 680. The sad news is that we won’t be looking at any Mid-Range replacement for the 560Ti till late 2012. Low end parts 620/640 series would be a rebrand of the past Fermi based GPU’s. Also for now, GTX 680 would remain the flagship , NVIDIA could release a faster flagship card this year in October-December timeframe if rival AMD comes up with another refresh allegedly the Sea Island based 8000 Series in the upcoming months.